You can register online by clicking the link above. To register by mail or by fax, click here to download the registration form and fax to 410-732-1737, or mail to 7006 Golden Ring Road, Rosedale, MD 21237. HURRY - EARLY BIRD PRICING GOOD THROUGH MAY 1, 2019 ONLY! 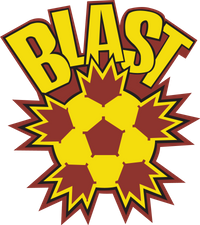 Call 410-73-BLAST or email info@baltimoreblast.com for more information. Depending on the severity of the rain, the camp will go on as scheduled. If you have questions, you can call the Blast weather hotline at 410-558-4295. If the weather is bad enough to cancel camp in advance, it will be noted on the hotline. If the weather is not severe enough to cancel camp in advance, the Blast camp director will have to go to each site to determine the conditions of the field. Therefore, you will have to go to camp in order to find out if the camp is delayed or cancelled. If camp is cancelled due to inclement weather, the Blast will attempt to make up the session but can not guarantee that a make-up date will be scheduled. "My kids LOVED the camp. The BLAST do a great job - definitely want to go again next summer." "What a terrific program, these guys are top notch." "Very well-organized. Great venue. Real Blast players as coaches. My kids LOVED this camp! A+"
"The coach and players were awesome with the kids. Very impressive." "Great camp my boys loved it!" "Exceptional camp. I wish I had signed up for a few more weeks, we will definitely be back next year. My daughter absolutely loved it."